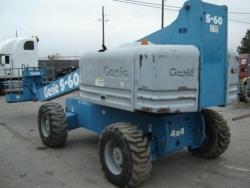 GENIE S40 boomlift for sale available new, used and refurbished. Used, refurbsihed and new available. ONE MAN PUSH AROUND LIFTS. 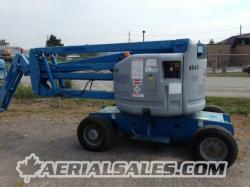 Electric boom, 40' working height, 22' side reach. 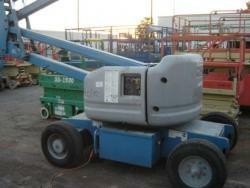 Electric manlift, jib, 51' working height, 25' side reach. 1999 yr model. 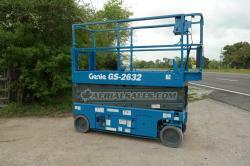 Genie Z45/25J boomlift for sale available new, used and refurbished. Call for more details or email. Call or email with for price request. 46" wide, deck ext, non-marks. 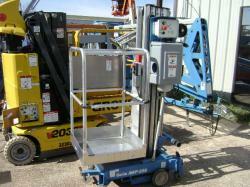 Available new used and refurbished. Refurbished, new & used available. 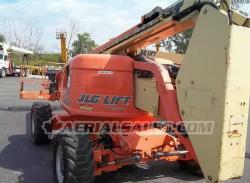 JLG 600A articulating manlift available new, used and refurbished. 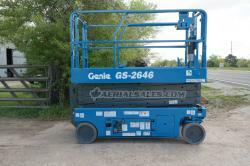 Aerialsales.com is your high reach and material handling specialist, providing both material and personnel lifts to the industry. 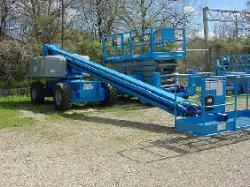 Aerialsales.com sells new , used and refurbished lifts, including boomlifts, scissor lifts and aerial lifts. 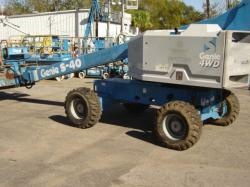 And we feature the best brands in the business, including Genie, JLG, Skyjack, MEC, Upright, Snorkel, Haulotte and others. 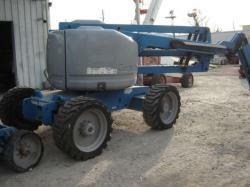 Aerialsales.com is a full service aerial equipment company, with expert knowledge of all brands and makes of aerial lifts and material handling equipment. From our two locations in Ontario, Canada and Texas, USA. We are able to serve the needs of a diverse client base from Canada, Mexico, South America, Korea, China, Vietnam, Colombia, Guatemala and throughout the world. With expert knowledge of importing, exporting and shipping at competitive rates. Our boom lifts, including telescopic boom lifts, offer a great variety of options for electrical and construction jobs, from small private tasks to the largest commercial endeavors. 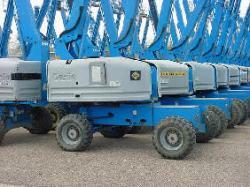 We have a variety—literally hundreds!—of boomlift models and sizes. Our scissor lifts, an economical alternative to boom lifts, come with varying lift platforms, load capacities and fuel requirements. But all of our scissor lifts are ideal for carrying and lifting heavy construction material like cement and steel blocks. And our electric scissor lifts, with extremely low noise levels, are ideal for carrying heavy loads in tight working spaces. 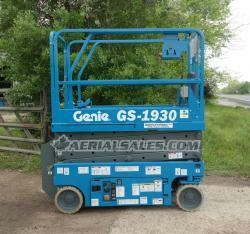 Aerialsales.com also features an array of man lifts and aerial lifts, for indoor and outdoor use, that vary in height, weight capacity and reach. We have 2- and 4-wheel aerial lifts, which are powered by gas, electricity, diesel and bi-energy. The majority of our man lifts offer optional all-wheel drive, oscillating axles and traction control. 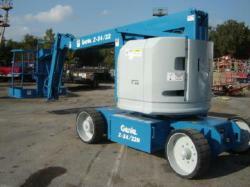 We can locate, evaluate, negotiate, inspect and ship any machine you might need. 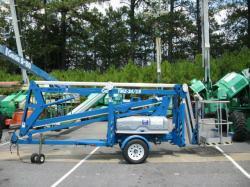 Aerialsales.com is your source for Aerial Equipment. 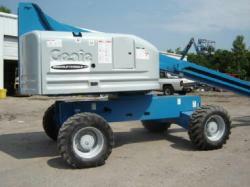 With popular brands such Genie Lift, JLG, Skyjack, Snorkel, Upright, Terex Lift, Marklift, Simon, MEC and Condor. Do you have equipemnt for sale? Please contact sales@aerialsales.com. We constantly update our website, so check daily. If you don't see what you need please call.